A website is as impactful and effective as long as it can run smoothly without any glitch for which it has to rely to great extent on server side programming language. PHP is one such language to achieve this purpose as well as provides other technical flexibility. PHP empower developers with a systematized, maintainable and reusable coding structure. 2017 has seen some amazing e-commerce trends that have potential not only for boosting user experience but also are equally innovative to edge out your competitors. As per recent data released by eMarketer (a market research firm that releases data to provide better insights about upcoming trends in digital marketing, media and e-commerce) by or before 2020 e-commerce will reach a whopping figure of $27 trillion. Now, how much are you ready to grab your share ? well, it can be achieved easily by including upcoming e-commerce trends that are ready to rule 2017 e-commerce arena. 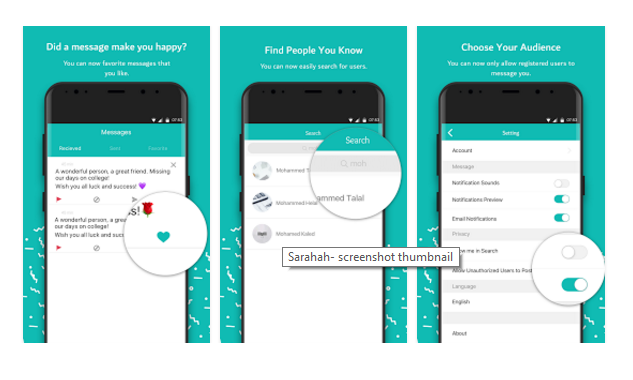 Sarahah is a recently launched app that will help user to discover their strength, weakness and other remarks by their close ones. The USP of the app lies in the fact that the message you will receive will be completely anonymous. Anonymity has been always leveraged to present the raw and brutal feedback and same is the logic of sarahah. Microsoft Research has recently released an intelligent indoor navigation app with the focus on the indoor navigation part of a building to ease the user experience while visiting a crowded or new location. Existing sensors on a smartphone will be utilised to make indoor navigation possible to simplify the otherwise time-consuming task. It covers all possible places normally most of the users visit frequently. Augmented reality is the ability to insert an overlay of interactive digital and virtual information into the real world thereby, changing the way we visualize the world by 360 degrees. It is a revolutionary concept that allows the user to browse life just like browsing the web. The concept is to overlay digital information onto the physical world. This technology has infinite potential that can be applied beyond chasing Pokemon into traffic to ease travel and shopping as well as medicine and education sector.